An easy guide to submitting your podcast to Pandora with Pippa for podcast hosting. Pandora is one of the largest music streaming services in the USA and worldwide, so it's exciting that they are breaking into the world of podcasts. As part of Pandora's Podcast Genome project, they promise to bring big improvements to podcast discovery, making it easier to find podcasts which are similar to ones you like. At Pippa, we make it as easy for you to share your podcast as widely as possible, and we're pleased to tell you how to get your podcast on Pandora's platform. Submitting your podcast for inclusion in Pandora's catalog is simple: you'll need to complete this form. You'll be asked to provide some basic information about your podcast, including the title, description, and your RSS feed. If you are using Pippa for podcast hosting, here's how to find your podcast RSS feed. This will be familiar to you if you've ever submitted your podcast to Stitcher or Google Play. But one slightly unusual question Pandora asks is how many listeners you had in 2017 and 2018. 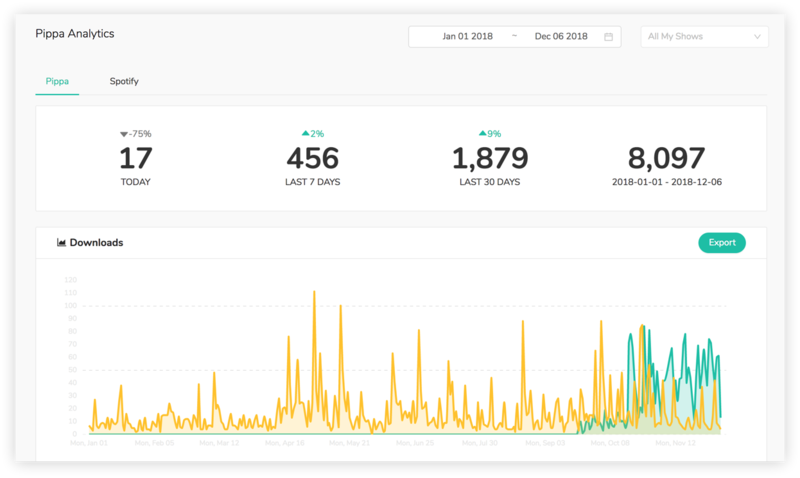 If you host your podcast with Pippa, it's easy to use Pippa's analytics to see how many listeners you have. NB: As Pandora states on their form, podcast submissions are reviewed and approved individually, so please allow time to hear back and do not submit the same podcast twice. Not all shows will be selected for inclusion, and Pandora will be in touch if your show is selected. Are you enjoying using Pandora for podcast listening? Let us know. Looking for podcast hosting which makes it easy to share your podcast to Pandora, Spotify, iTunes and everywhere else? Choose Pippa for the smartest podcast hosting and detailed analytics.